We pride ourselves on providing pupils with freshly cooked, nutritious school lunches prepared on site by our contract caterers, Chartwells. As part of Southwark Council's Free School Meals programme, all school lunches are provided at no cost to pupils. We offer a choice of two main courses, one of which will be vegetarian, plus a pudding. Salads and fresh fruit are served every day, and water and milk is provided with meals. 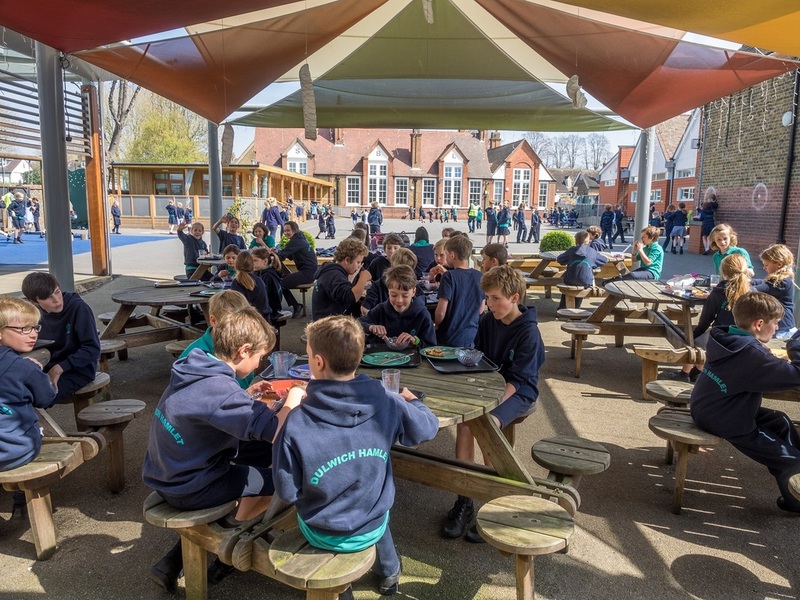 Lunches may be eaten in the dining hall or at picnic tables in the playground. Provision can be made for children with allergies or religious considerations. Children may also bring in their own packed lunch. Please contact the school office if your child has special dietary requirements or wishes to bring in their own lunch.